It seems like everyone is starting to do their part when it comes to cleaning our aquatic playgrounds; everything from reducing agricultural pollutants in our waters to reducing plastic waste. But how many of us have stopped to think; how eco-friendly is the wetsuit I’m wearing, in the water, when participating in my favourite water sport? Picture Organic Clothing has taken the plunge into the wetsuit market, with the same company policy: ‘sustainable development and conservation of the environment’. Consequently we have seen the emergence of wetsuits made from NaturalPrene – 85% natural rubber and 15% synthetic chlorine free rubber. So what are these eco-friendly wetsuits like? 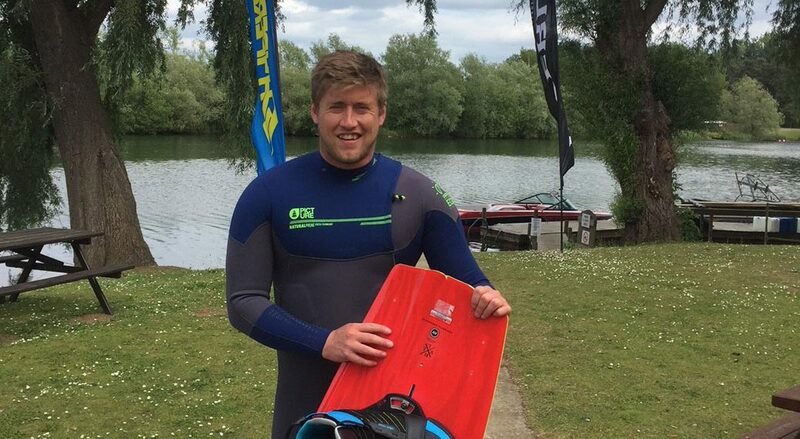 Well I took one water skiing and wakeboarding at Tallington Lakes, and body-boarding/surfing in Cornwall to try – and the odd open water swim. The Civic is a NaturalPrene wetsuit that gives you the same range of motion as a top end competitor’s wetsuit; thanks to the integrated micro particles that enable the NaturalPrene to stretch four times its original size. However it’s not all fancy technology, but simple thinking, that allows for this full range of motion. Inspired motion patterns, based on triathlon specific wetsuits, and no seams underneath the arms or around the shoulders means these wetsuits are great for paddling into waves or stretching around that turn buoy. Glued and blind stitched seams, with solvent free water based glue, and a fully recycled polyester lining; make these wetsuits comfortable and ultra-quick drying. The additional DryNow fibre lining, in critical areas, is ultra-wicking and will keep your body’s core warm. The zip-free entry design means your cold fingers do not have to struggle with a zipper; which along with the fully waterproof collar, including a glideskin neck seal, will ensure minimal water intake. If you are a surfer, or just take hard hits wakeboarding like myself, then the double NaturalPrene comfort zones protect your ribs perfectly. 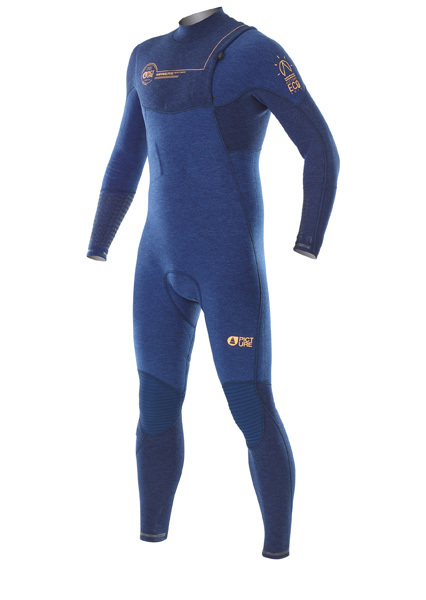 It’s also worth checking out the Dolphin 2mm wetsuit, which is from the Picture Organics Clothing’s LimeStone range, and is made from 70% limestone neoprene and 30% recycled polyester. The neoprene is derived from the limestone and then mixed with 5% of recycled rubber from old tyres (and old wetsuits). In a nut shell you have a wetsuit made of rocks and tyres. Consequently Picture Organic Clothing has been able to dramatically save their carbon footprint, in the manufacture of good quality wetsuits. Instead of giving us the figures in a scientific number, that better minds that my own can’t comprehend, they give us an easy understandable representation: the emissions saved are the same as driving 56,000 kilometres in a car. So high quality wetsuits, that perform in the water, following a 100% eco-friendly policy – done! Come check out the range of men’s and women’s Picture wetsuits at Tallington Lakes Pro Shop and we can fit you for your ‘eco-friendly wetsuit’ so you can stay in the water longer!